On top of being one of the nation’s leading philanthropists and a long-time supporter of McGill, Seymour Schulich has impeccable timing. With final preparations under way for the McGill Conference on Global Food Security (see story, Page 10), Schulich has presented the University with a gift of $5 million to create fellowships for graduate students in several disciplines, including the agricultural sciences. The timely gift marks yet another occasion in which Schulich has stepped up to the plate for his alma mater. 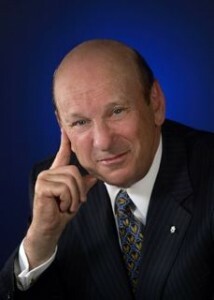 His $20-million gift in 2005 to the music faculty (renamed the Schulich School of Music) was followed in 2006 by his Golden Violin Award, described as the “Stanley Cup of classical music.” He also established McGill’s Schulich Library of Science and Engineering. One of Canada’s leading businessmen in the oil and mining fields, Schulich has never lost sight of his humble beginnings and credits much of his success to a $1,600 scholarship he received while studying for his MBA at McGill. “This is a spectacular gift from an outstandingly generous benefactor and a champion of higher education,” said Heather Munroe-Blum, Principal and Vice-Chancellor of McGill. “What sets this gift apart is that it will apply to areas of academic study that Seymour has not supported previously. The fellowships that will be developed from these funds will support important research and learning across a broad range of subjects, further strengthening McGill’s competitiveness in attracting and supporting outstanding graduate students – a benefit as well to Quebec and Canada as a whole. That some of these funds will be applied to the important area of agricultural research is good news indeed for those tackling the difficult challenges posed by the global food crisis. Martin Kreiswirth, Associate Provost and Dean of Graduate and Postdoctoral Studies at McGill, was also pleased to see the ways in which the $5 million can be spent.